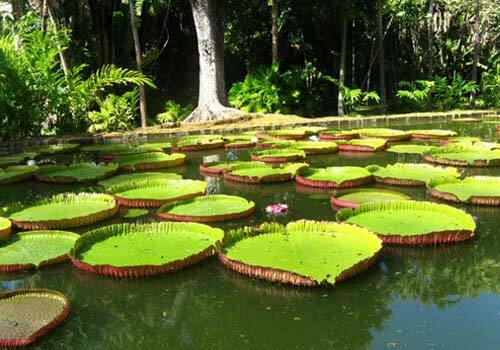 While the garden is most famous for its giant water lilies, the garden features spices, ebonies, sugar canes as well as 85 varieties of palms from Central America, Asia, Africa and the islands around the Indian Ocean. Many trees have been planted by world leaders and royalty, including Princess Margaret, Countess of Snowdon, Indira Gandhi, François Mitterrand and Robert Mugabe. Black River Gorges National Park is a national park stretching on an area of 6,574 hectares in the hilly south-western part of Mauritius. It was construction in Mauritius order to save the natural vegetation of the island and make it one of the most important Mauritius sightseeing. One can walk along the greenery and reach the highest point of the island, which is the Black River Peak. Facilities for visitors include two information centers, picnic areas and 60 kilometers of trails. Port Louis is the capital city and main port of Mauritius, Port Louis was constructed in the year 1735 by the noted French governor, Mahe de Labourdonnais. Today Port Louis is the largest city in Mauritius. Port Louis is surrounded by a mountain range, called the Port Louis Moka Range which makes it worth watching. Mauritius Port Louis has conserved many historic and colonial buildings through the years. 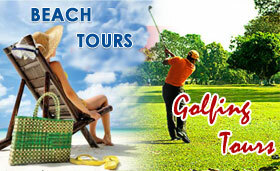 One of them is a fortification named Fort Adelaide or La Citadelle, built by the British in 1835. The latter dominates the city. The main tourist attractions in Port Louis include the nt, Port Louis Bazaar, Police Barracks, the Mauritian Chinatown and the old Port Louis theatre. The capital has also three museums which are: the Blue Penny Museum, the Mauritius Natural History Museum and the Mauritius Stamp Museum. Also, the biggest and oldest post office in Mauritius is found in Port Louis near the Caudan Waterfront. 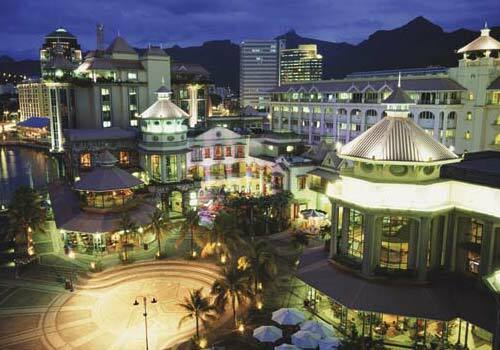 At the city center there are number of French styled buildings, which enhances the charm of Port Louis. Port Louis is definitely a must place to see and visit during your visit to Mauritius. Grand Bassin, known also as Ganga Talao is a lake situated in a secluded mountain area in the district of Savanne, deep in the heart of Mauritius.Mauritius It is about 600 meters above sea level. The Grand Bassin is a holy lake for Mauritian of Hindu faith. 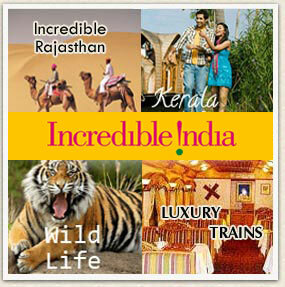 It is said that the water inside the lake communicates with the waters of the holy Ganges of India. The Hindus of Mauritius declared the Grand Bassin as a Holy lake. The Hindu community performs there a pilgrimage every year on the Maha Sivaratri/“Siva’s Great Night”, on this day they honor the Lord Siva. 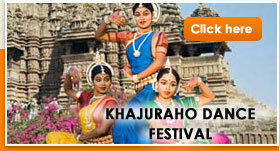 Beside the lake there a temple dedicated to Lord Shiva and other Gods including Hanuman and Lakshmi. 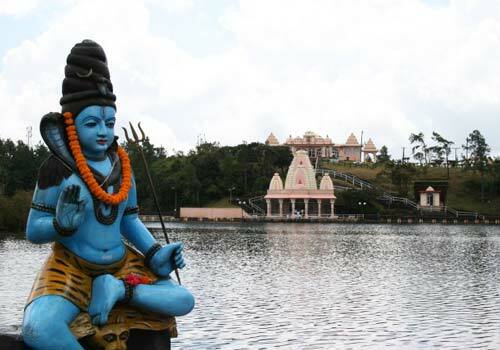 Also, overlooking the lake is the statue of Mangal Mahadev (Shiva statue) which is of 33 meters, making it the highest statue in Mauritius. 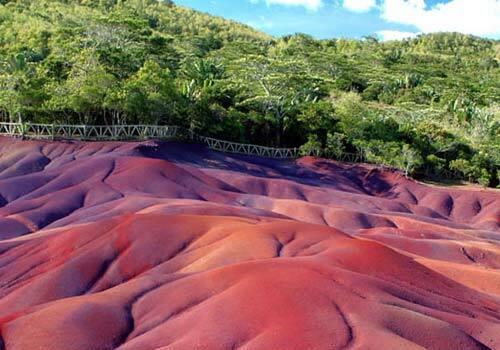 The “seven-coloured earth” of Chamarel is a geological curiosity and a major tourist attraction of Mauritius. The landscape at ChaMauritiusmarel is truly unique, it is the only place in world where you can find a clay earth of 7 colors at one place. The colors of these unique dunes are red, brown, violet, green, blue, purple and yellow, purple and red are predominant. Also when visiting the park you get to see a great view of the neighboring falls and of the lush vegetation all around. The Chamrel park offers another attraction to be relished first, the Waterfall of Chamarel. 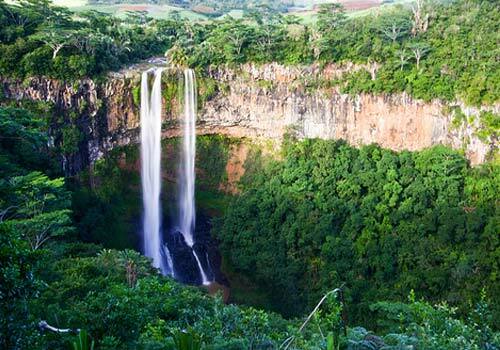 It is a truly beautiful waterfall, some consider it as the best in Mauritius. Three distinct stream plunging down a free fall of nearly a 100 meters down into the gorge.